Below is a brief summary of some of the key points of Jean-Claude Juncker’s State of the Union speech. Europe’s economic recovery has seen eight million jobs created and employment at record levels. The European Union should have a common finance minister, possibly drawn from the existing ranks of the commission. Turkey has pushed itself away from EU membership in the foreseeable future. It should leave journalists free to work and stop attacks on European leaders. The EU will grow beyond its current 27 (excluding the UK) members. All EU states should join the euro and the European Commission is ready to help them make the transition. Cyber attacks can be more dangerous than guns and tanks so the EU will create a cyber security agency to ensure its defence. EU citizens should have the same working rights wherever they are, so the EU will set up a common labour market agency to regulate conditions. New unit should help the exchange of information about terrorists and foreign fighters. European public prosecutor should handle cross border prosecution of terrorism crimes. EU should have functioning defence union by 2025. Europe is not a fortress and should welcome those who seek refuge from persecution. However, those who come without justification should be expelled. Italy has led the way on the immigration issue, but other states have not shown enough solidarity. 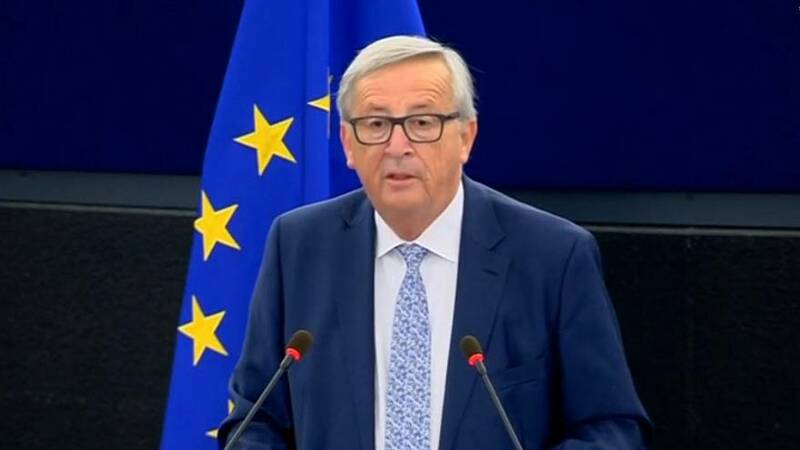 One president, rather than the current system with leaders representing the member states, the Commission and the Parliament, would better embody the unity of Europe. The EU budget should be commensurate with its ambition and should not face cuts.